The name Gaurav Agrawal needs no introduction. All India Rank 1 in UPSC Civil Services Exam 2013, who is also an IITian, ‘IIM’ian and an IPS trainee!!! Gaurav, 29, now into Indian Administrative Service (IAS), topped the toughest and the lengthiest exam in India applied by 7.5 lakh applicants and attempted by 3.15 lakh in 2013. 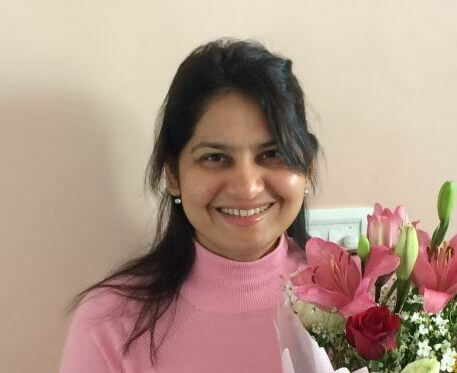 Know the tips and strategies – straight from a UPSC topper! Update: Now, compilations of ClearIAS study materials and mock questions are available for download from the ClearIAS online store. Learning made easy and faster! Not only Civil Services aspirants, but almost all Indians are eager to know the preparation methods of the topper. ClearIAS.com had requested Gaurav to share his approach, tips and strategies with the readers of our website and in spite of his busy schedule, Gaurav has answered the detailed interview questionnaire of www.clearias.com, a much more tiring exercise than the actual IAS exam :-P.
We hope this interview will turn out as a real confidence booster for all aspirants, particularly those from rural India who do not have access to expensive coaching/guidance. Now aspirants have the expert guidance from none other than, Gaurav Agrawal, 2013 Rank 1. 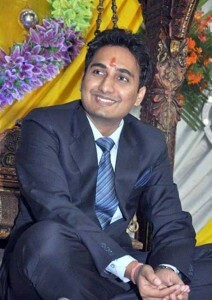 Let’s welcome Gaurav to the “UPSC Toppers Interview” at www.clearias.com. ClearIAS.com: All India Rank 1 in UPSC Civil Services Exam!!! Dream of lakhs of aspirants! Hearty congratulations from ClearIAS.com for this unmatchable achievement! 🙂 Let’s start from the beginning. How did you come across the idea of writing UPSC Civil Services Examination? Was it your childhood dream? No such childhood dream. Only realized strongly I wanted to do this when I was working. This job attracted me because of the impact it can allow one to have on thousands of peoples’ lives. ClearIAS.com: How did you feel when you came to know that you are the topper (AIR 1)? Can you share the moments of happiness with our readers? I couldn’t believe. Thought there has to be some mistake in my interpretation of the result. Then I called 3-4 other IPS Probationers and they verified it. 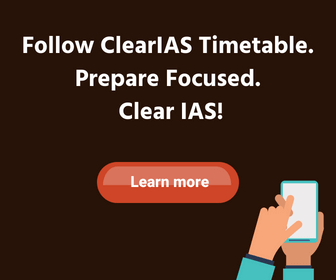 ClearIAS.com: IIT, IIM, IPS and now IAS!!! Can you brief us your thoughts, views and ambitions when you climbed each position in the ladder of your life? Interesting question, would write a blog on it soon. Competition level has always been high. Still if one has to do a comparative study, it is decreasing now. Earlier, it was the only job opportunity but now so many other avenues have opened up. People are going abroad, working in private sector. You should thank the opening up of economy for this. Otherwise all the bright people I have met in my career in other places would have instead appeared for this exam. Also, people from IITs have always been appearing and topping this exam. This trend has actually decreased if anything from 80s and 90s. 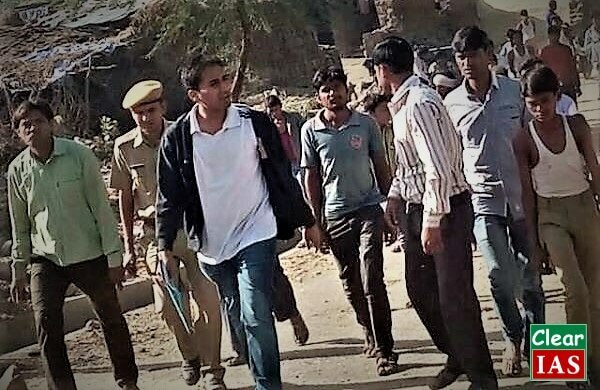 Note from ClearIAS.com : Gaurav Agarwal is a familiar face to the readers of Clear IAS, as Gaurav has already shared his UPSC interview transcript with us earlier. His hobby is blogging and in his blog Khelo India, he has been writing many useful articles regarding UPSC Civil Services Exam. Many hyper links in the next set of questions connect to Gaurav’s blog. For prelims and mains, read the post in my blog Khelo India. For optional preparation, read the post on optional paper. Interview mentioned later in this form. 1st attempt: studied for 1 year. Daily 10-12 hours. This attempt: studied for 4 months. Daily 6-8 hours. Alone. Resorted to group only to ask what topics / important questions to study. Hindu and followed other news websites (all popular ones) on RSS reader. For magazine, only EPW. About 2 hours for newspapers and websites. To know more about newspaper reading visit the post How to read newspaper? Vision IAS and Synergy test series useful. Baliyan history optional classroom coaching useful, but don’t rely soley on it. Attended mock interviews at various places and found them useful. Attended classroom coaching at Vajiram, Sriram, Lalwani’s Axiom and found them to be a total waste of my time and left soon / didn’t attend classes. Coaching – The Good and the bad. Such a long time, time table varied. Continued in Part 2 of the interview : Gaurav Agrawal (CSE 2013 Rank 1) UPSC Topper’s Interview – Part 2. Congratulations GAURAV for scaling new heights and setting new standards. Sir m civil ki preparation hindi medium s karna chahti hu i am jst completed my graduation this year…n now m too much confuse how i prepare n manage my time management sir…i need some advice how i can do this ??? How to read case study for ethics ? Sir I completed my 12 after it I goes to graduation and then I wnts an IAS bt I need ur help that how I crack prelims and mains .. I also don’t know any thing about coaching classes for IAS ….IAS is my dream project so please guide m sir.